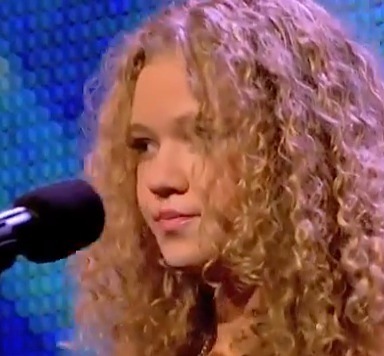 I started watching X-Factor last year to see Britney Spears act a fool, and I’m continuing to watch this year for no reason at all… No reason until I saw 13-year-old Rion Page take the stage. Page was born with a disorder that affected her joints and made her unable to bend her hands, is almost completely blind in one eye, and has an incredible voice and attitude. Some boys can’t keep their cool around Sports Illustrated Swimsuit models, and some girls fall to pieces in the presence of 6’5″ werewolf strippers. I’m referring to Sharon Osbourne’s wandering eye during a sit-down on The Talk with True Blood‘s Joe Manganiello. As Joe explained his storyline on season 6 and the time he decided to accept the role in Magic Mike because of his What to Expect When You’re Expecting co-star Chris Rock, a visibly distracted Sharon fondled his enormous hands. What Does Angelina Jolie’s Engagement Mean For Society? – More Pictures Of Her Hands! Angelina Jolie’s recent engagement to Brad Pitt, father of her children and partner for seven years means doesn’t mean much to humanity. You’re just going to see a ton of pictures of her left elongated spider hand and the ring that adorns it.